More than 50,000 people surged down West Georgia Street under clear blue skies in the 26th annual Vancouver Sun Run on Sunday, marking a flawless Mother's Day morning. 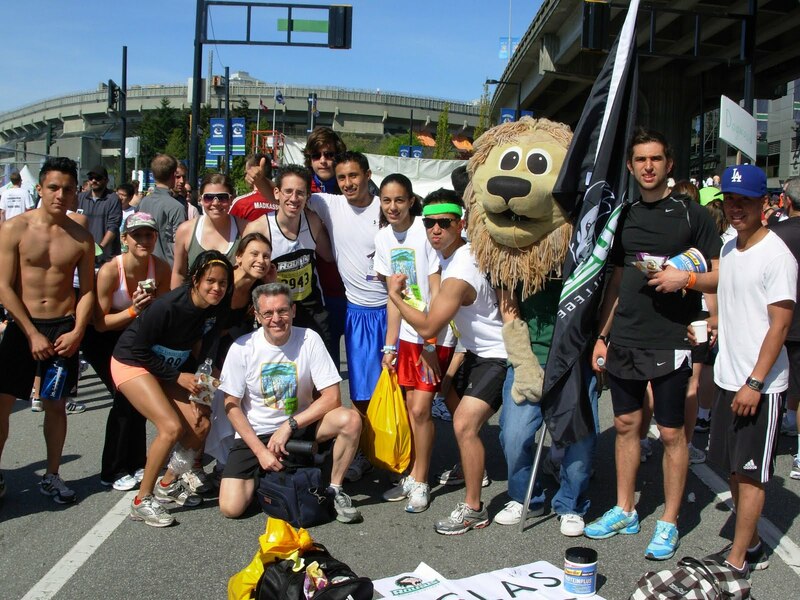 The Douglas College Royals team of 32 participants included students, faculty & staff from both David Lam and New Westminster campuses. Roary, the Douglas College mascot, was in attendance cheering on the team, accompanied by student volunteers. 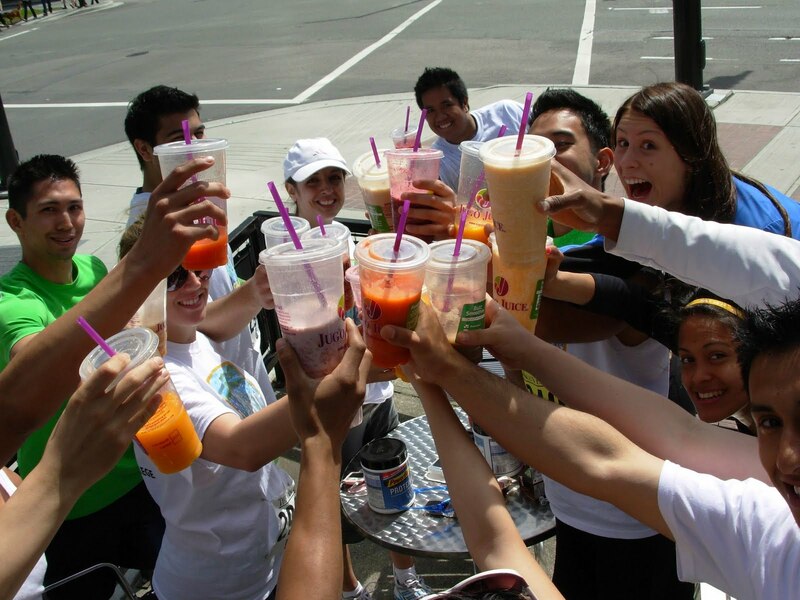 After the race, students gathered for refreshing celebratory fruit smoothies at Jugo Juice. Look out for our next run this summer!